A Water Softener is a special type of water filter that removes calcium and magnesium from hard water being supplied to your home. A Water Softener operates by using sodium to remove the calcium and magnesium, and is cleaned periodically by a process called 'regeneration.' Water Softeners have three basic components: a mineral tank, a brine tank and a control valve. If the water filter in your home just removes contaminates from your water supply, then it is a Whole-House Water Filter, and you should instead put a checkmark for this home feature in your Home Wizard app. Shown in the 'Routine Care' section are the recommended routine maintenance tasks for your water softener. The 'Q & A' section shows answers to common questions. 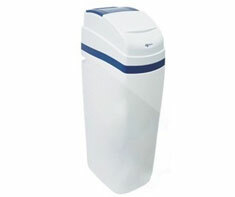 And the 'Articles' section provides helpful articles about your water softener.